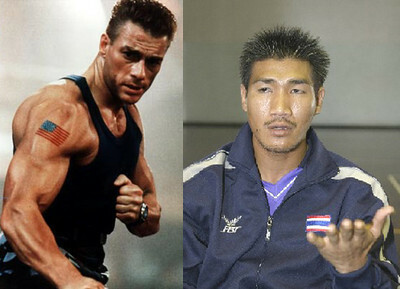 Reportedly, the Jean Claude Van Damme match against Somluck Kamsing is still on and will still occur. But yet again the actual match date has been pushed back again. Apparently, Van Damme is very busy engaged in multiple new projects. Among the new projects Van Damme is said to be engaged are: Weapon, Kung Fu Panda 2, Universal Soldier: The New Dimension (the 5th in the film series), as well as various reality TV shows. I’d have to imagine one of these new reality shows may be the principal filming of the reality TV show leading up to Van Damme’s matchup with Somluck. In past interviews Van Damme has said his own family including those from past marriages will be on hand to provide some amount of content and I am sure some of the requisite drama that reality TV has been characterized by. The new, new date for the fight is now April 2011 and the host country for the event will now be Russia. Of course as I learn more updates will follow. damn man. thanks for the update. i want to watch everything about this. and man that date was pushed back pretty far. this needs to happen. best wishes for jean claude man…….although i wanted to see somluck school him even though he was once my favorite action star as a kid.